Join the fight to save Kentucky's beautiful forests with this shirt. Available as a tank or tee (just let us know the size and style in the Comments section when you checkout) you'll love this clever logo. Available in a variety of colors and sizes. Please specify in the comment section your preference. 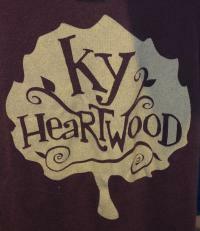 Thanks for supporting Kentucky Heartwood!